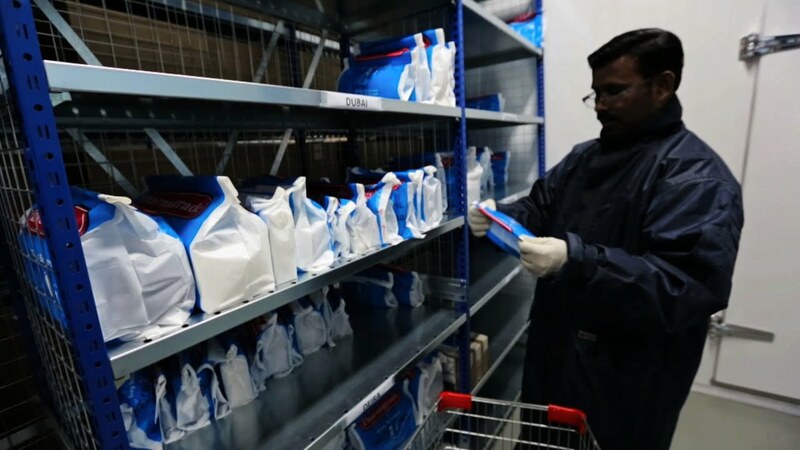 As part of its warehouse, Pharmatrade has made provision for a state of the art Cold Chain Management facility which includes three different size cold rooms with 50, 150, and 400 square meters respectively. The three cold rooms are used to store laboratory and pharmaceutical products at the temperature from two to eight degrees Celsius, as per international rules and regulations. Furthermore, a deep freezer kept at a temperature of minus 20 degree Celsius enhances Pharmatrade’s efficiency in the cold storage management chain. Temperature is monitored and recorded at the point of receiving the goods and while storing until delivering them to our customers all over the UAE.